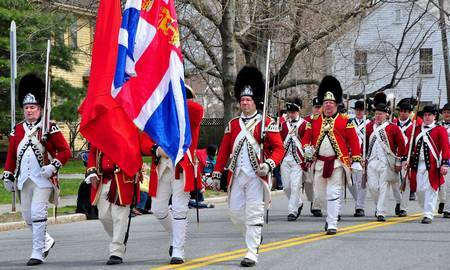 First Foot Guards, Revolutionary War reenacted British regiment, Boston, Mass. 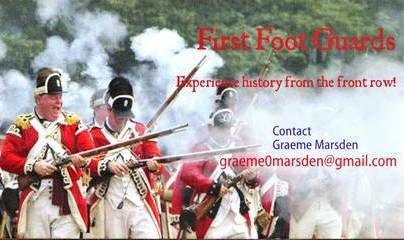 The First Foot Guards is a recreated British regiment of the American War for Independence. 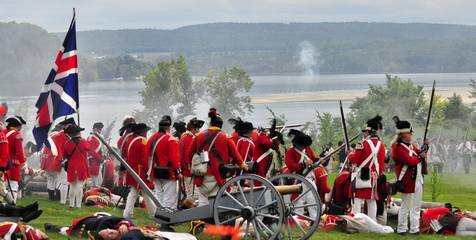 We participate in re-enacted encampments and battles at historical sites and battle sites, primarily in the Boston area but also elsewhere in New England, New York, and the Middle Atlantic states. We march in some parades, and occasionally lecture to groups of people who are interested in history and heritage. See the Photos, Videos, and Events pages to see what we do. We drill in Easton, MA during the winter months. We strive to be as authentic as possible in our uniforms, equipment, weapons, encampments, and precision drill. Many of our members have extensive knowledge of 18th century history, both American and British. 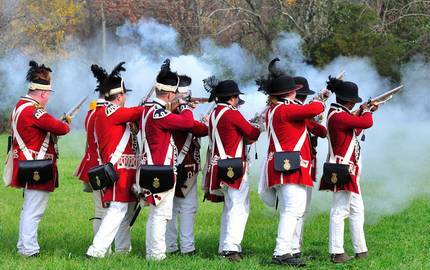 If you have an interest in 18th century history and military action, consider joining us. Contact Graeme Marsden, graeme0marsden at gmail.com.